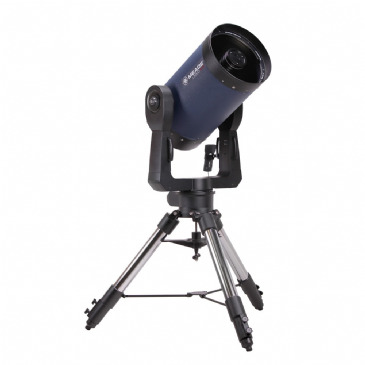 Which in 2002, was the first ultra-high transmission coatings for commercial telescopes. 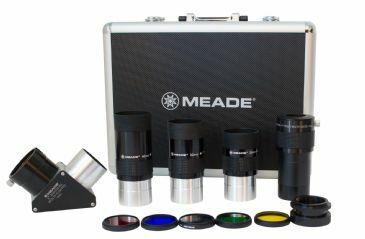 Precisely designed to improve the performance of a telescope’s optics, these advanced multi-coatings increase light transmission — on average across the visual spectrum — by about 15% (for example, Meade UHTC coatings will increase the image brightness of a 10-inch LX200-ACF by the equivalent of about 0.75 inch of aperture), providing much higher performance for observers and astrophotographers alike. 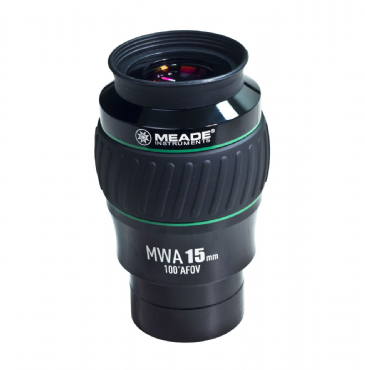 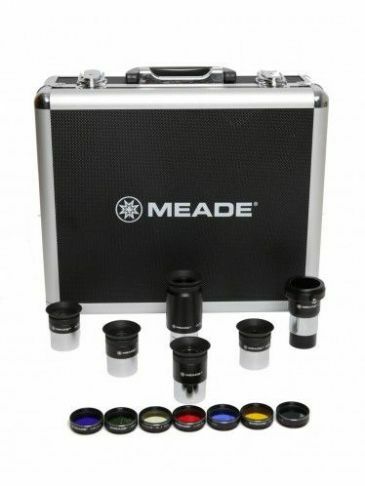 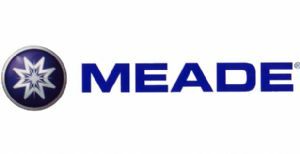 Still the industry standard, these coatings are available only from Meade. 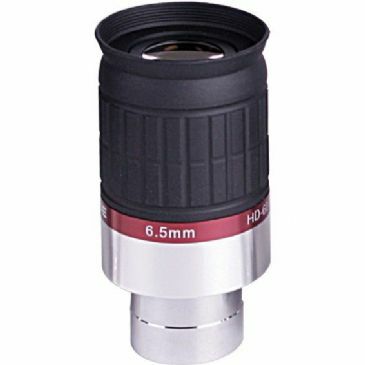 The first affordable optics delivering Ritchey-Chrétien-like performance, in 2005. 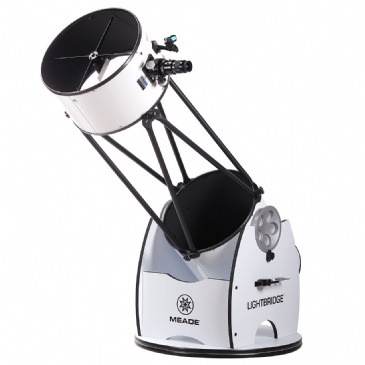 A traditional Ritchey-Chrétien (RC) is a type of reflector that delivers a coma-free view via hyperbolic primary and secondary mirrors. 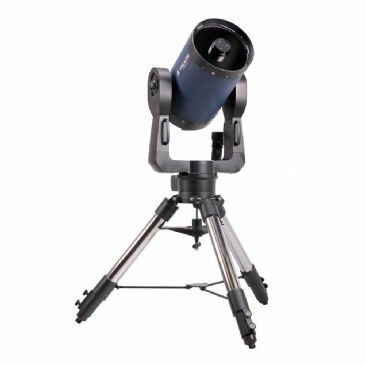 Because the mirrors in these telescopes have always been very expensive to make, few amateur astronomers could enjoy them. 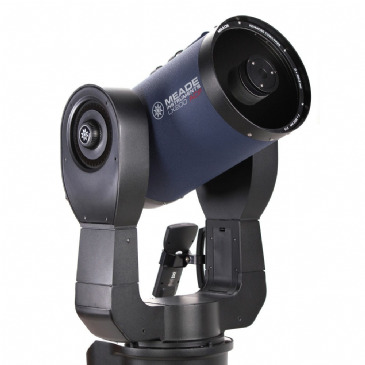 Suspecting that there was a better way to design this optical system, Meade engineers developed a radical new Advanced Coma-Free design by combining a hyperbolic secondary mirror with a corrector-lens-and-spherical-primary-mirror combination that performs as one hyperbolic element. 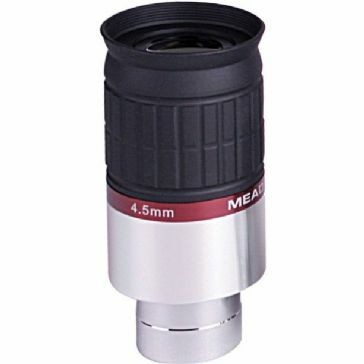 This ACF design produces a coma-free, flatter field of view that equals traditional RC telescopes at a fraction of the cost. 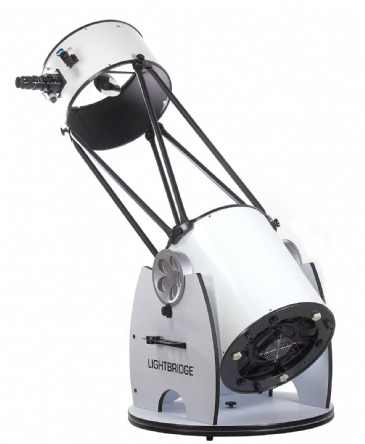 The design also eliminates diffraction spikes and improves astigmatism, both of which are inherent in the traditional RC design. 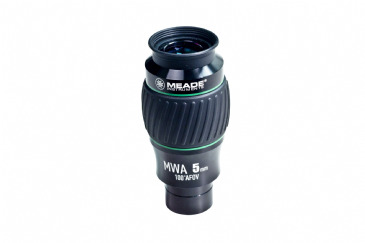 No other optical design delivers both the level of performance and affordability as ACF. 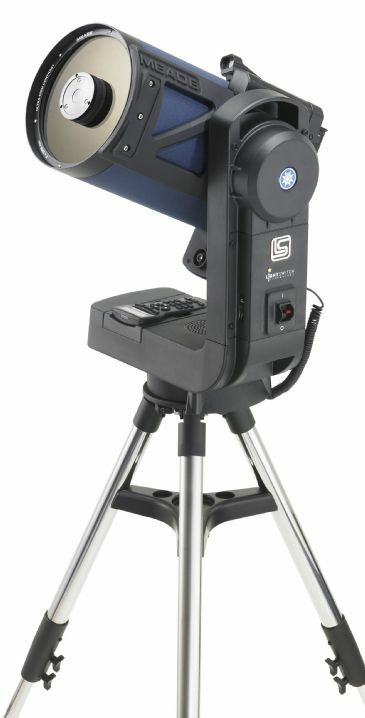 The first one-touch, fully-automatic alignment system, introduced in 2009. 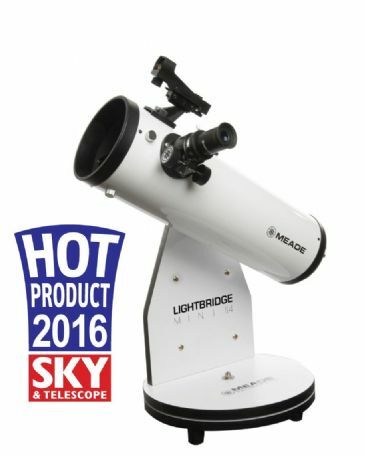 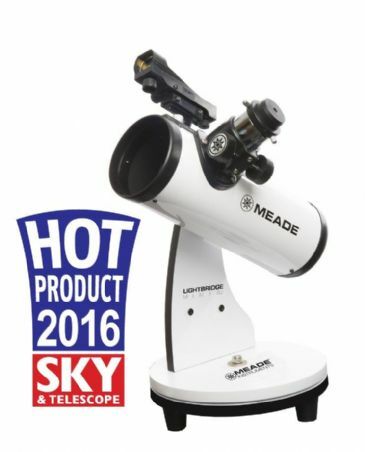 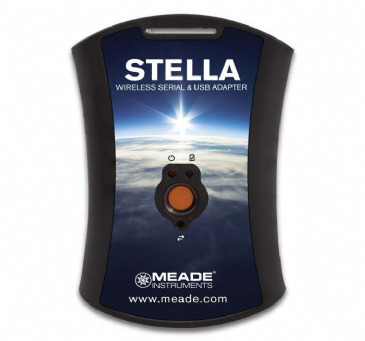 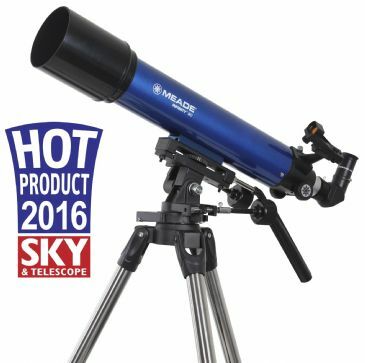 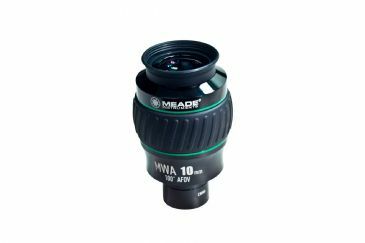 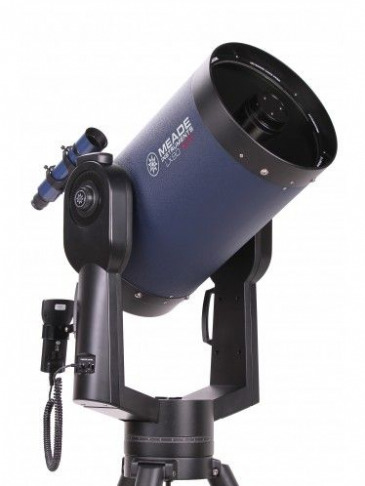 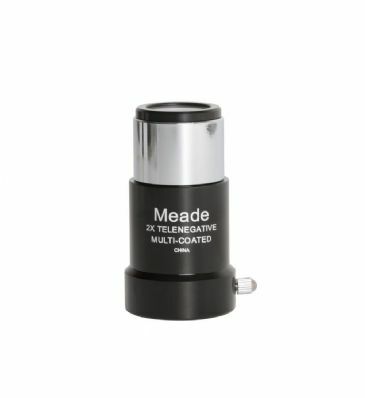 Meade’s revolutionary LS LightSwitch series of telescopes use advanced technologies like GPS, LNT and ECLIPS CCD imaging to do what no other consumer telescopes have done before: take all the hassle out of using a telescope. 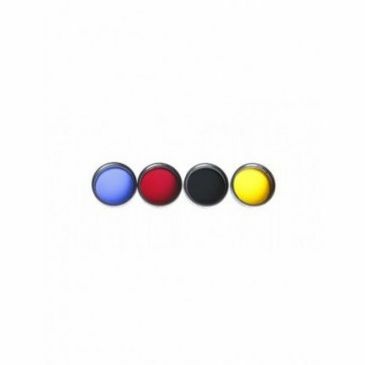 Simply flip the switch and the LS automatically aligns itself without any input from the user. 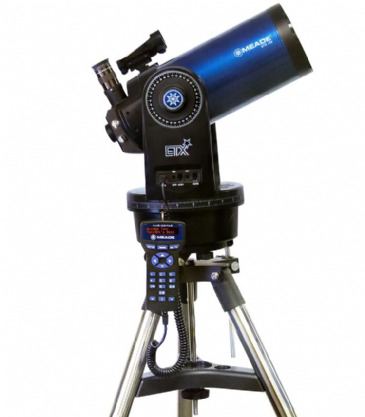 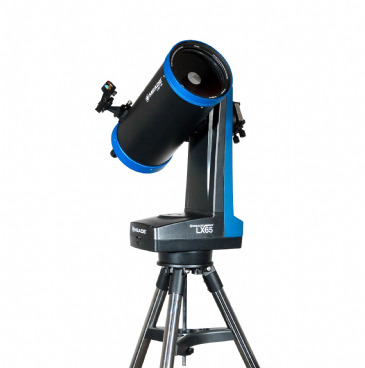 Quite simply, it is the most sophisticated, easiest to use telescope ever produced. 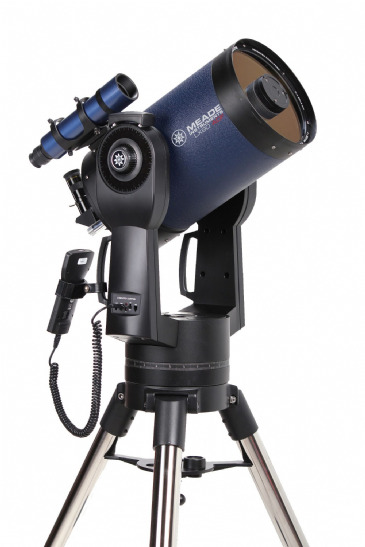 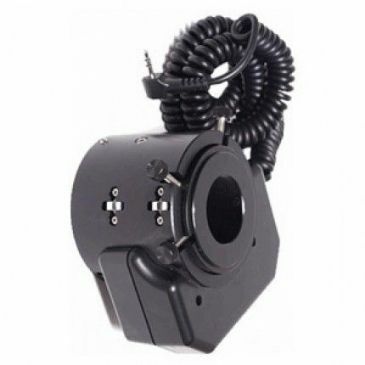 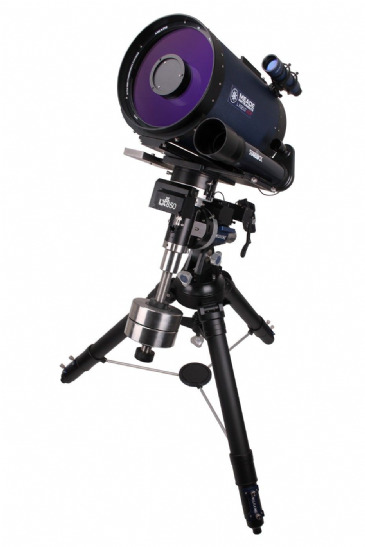 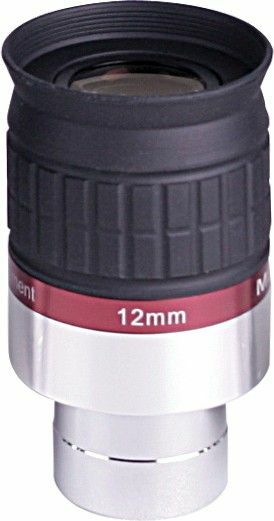 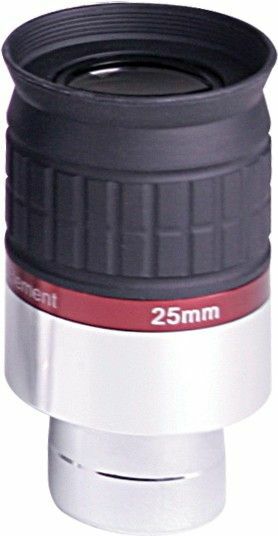 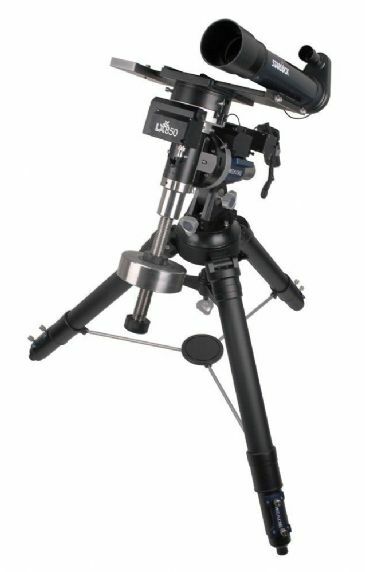 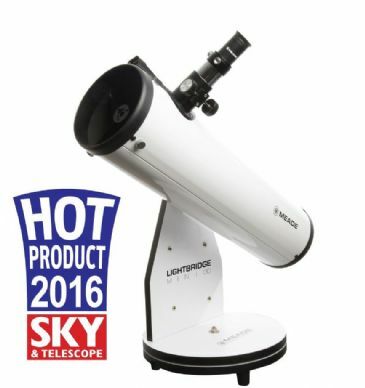 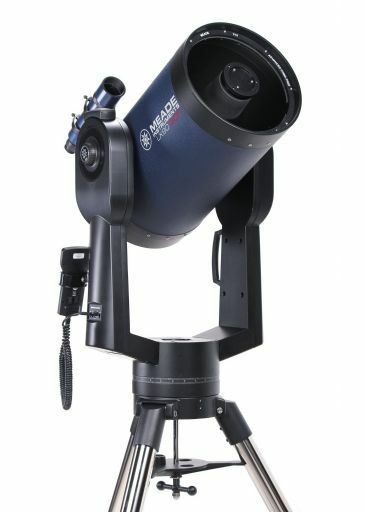 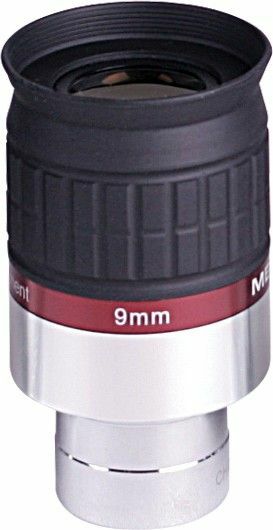 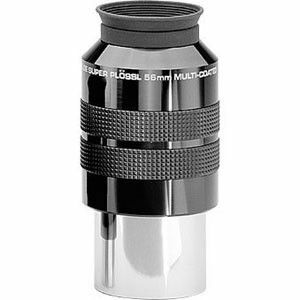 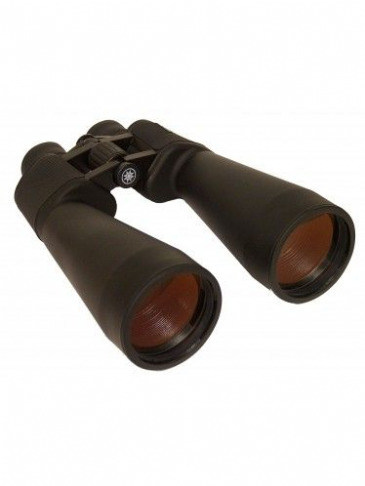 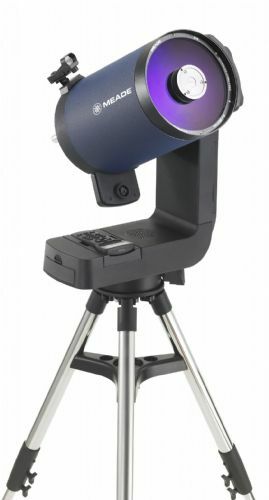 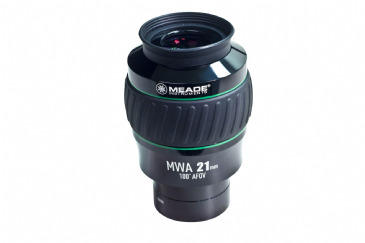 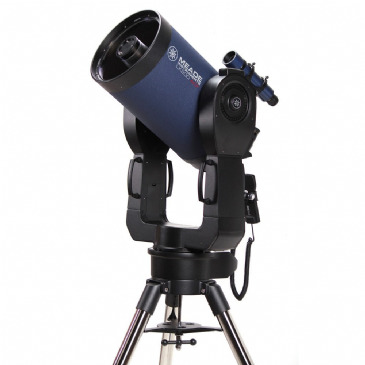 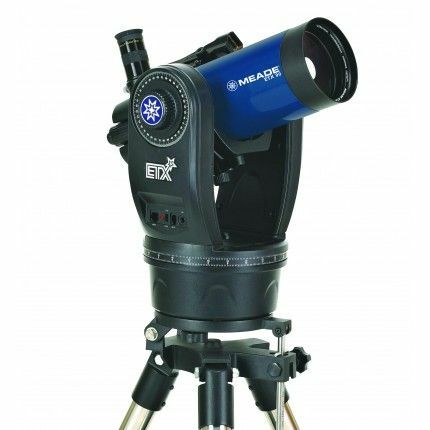 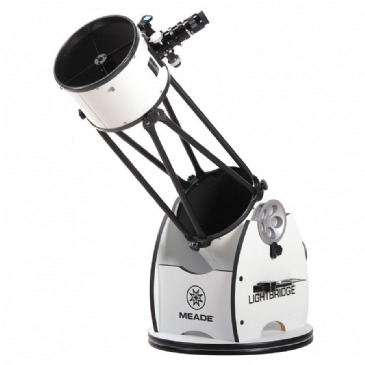 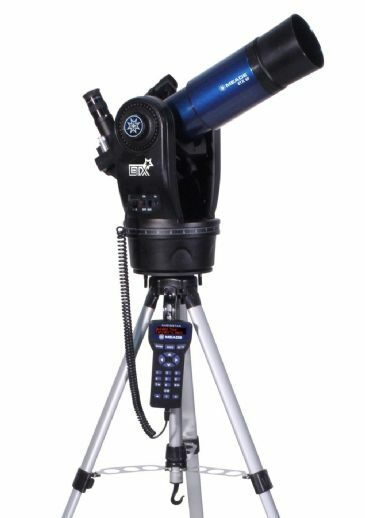 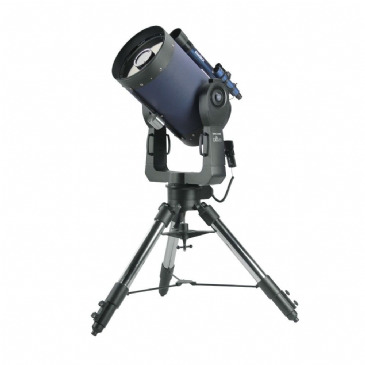 Perfect for astrophotography or during high power planetary observation. 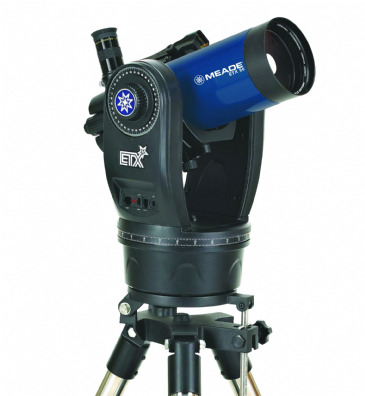 Focus is controlled through the existing Autostar II or Autostar III handbox of the telescope.